All Life! 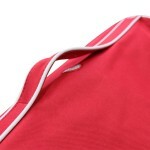 bean bags have a safety locking zipper so children can’t open it. This means zipper tabs have been removed (so your zipper might look broken but it really isn’t). To open just use the paper clip we’ve provided (or any only paper clip will do) and follow the instructions on the label. 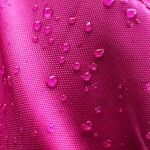 Our wide selection of fabrics cater for indoor, outdoor, soft, rugged, kid friendly and adult snuggly. Our products are all tested for washability and colour fastness and are easy to spot clean without removing the liners and beans. For more information on caring for your Life! bean bag click here. Too much air can make it hard to really sink into your favorite bean bag. So Life! bean bags have air escapes to allow those air pockets to whoosh away – all the better for snuggly comfort. Utility handles make them easy to move around and pockets mean your remote, magazine or iPod is never far away. Our unique easy fill funnel system cuts down on bean spills when filling or topping up your bean bag. 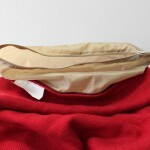 The funnel provides a larger opening area for filling and also makes it easier to close the zippers when full. And never content to just make things easier, the funnel system uses two safety locking zippers to keep beans away from little fingers (and mouths) for extra piece of mind. User friendly removable internal liners are available for most Life! bean bag shapes and sizes. In fact, most shapes on this site come complete with an internal liner included. Please check the product description for more information on internal liners. Liners allow you to easily move beans from one bag to another without un-filling and re-filling (because as fun as that can be we’d rather not do it too often!) This is really helpful when you need to wash your bag. 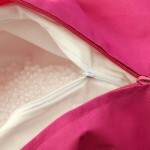 All internal liners also come with our easy fill funnel system and safety locking zippers. We flop, we drop, we plomp and wriggle – after all that’s what bean bags are for. So every Life! bean bag style is individually designed to withstand all the plomping and flopping you can throw at it. Reinforced stitching, lined interiors and fabric selection ensure the products will stand up to (nearly) anything you can dish out. And reinforced interiors provide support to not only maintain shape, but protect the areas of most stress and wear.